How should you take care of a houseplant during winter months is brought to you from one of our sponsors. If you have plants in your home they will generally require different care at different times of the year. The care required will depend on where the plant is in its natural cycle; is it growing and blooming or is it in a dormant state? Not all plants bloom and grow at the same time of the year; you need to check the details for each individual plant when you purchase it. However, the majority of houseplants have their period of growth in spring and summer with winter being the dormant time of the year. 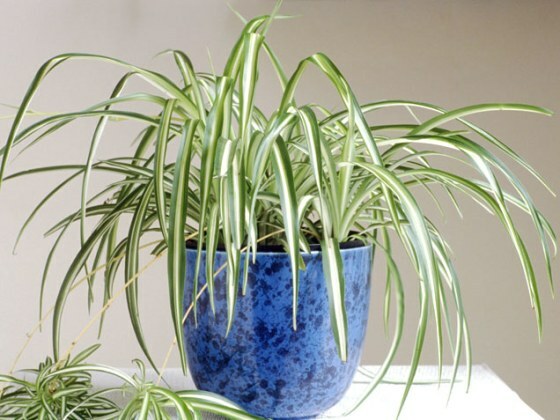 If a plant is dormant during winter how should you take care of it? When plants are dormant they don’t need as much nourishment as they do during periods when they are in bloom, or when their foliage is growing. So, if your plant is dormant in the winter, you probably won’t need to feed it at all, and you can water it more sparingly. It’s important to note that, at this time, you should make sure that the soil or compost the plant is in is allowed to dry out before you water again. 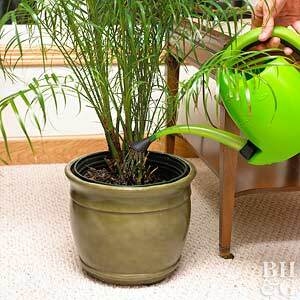 If you don’t do this you stand a chance of exposing your plant to root rot. Even though you don’t need to invest as much time caring for your plant during the winter, if it’s dormant, you still need to be watchful as to its condition. The fact that it doesn’t need as much nutrition and hydration doesn’t mean you can get away with not watering it at all. If plants are dormant in winter does that mean you can’t have color in the house? Not every plant is dormant in winter months; some actually bloom at this time of year. The bright colors and heart-shaped flowers of the cyclamen are a familiar sight in winter. They prefer a cooler temperature and in the right conditions they can provide beautiful decoration for a considerable length of time. Another bloom that does well during winter is the attractive white jasmine which also produces a fragrant atmosphere. Jasmine is easy to train around a hoop if you want to create decorations for around your home to brighten it during months when there is less sunshine to paint your rooms. Obviously if you have houseplants in your home that flower and grow during the winter you are going to have to spend more time taking care of them. In the case of jasmine regular pruning will stimulate more growth and is also used if you are training the plant to grow in a specific shape. For all plants that are growing you need to make sure they receive enough nutrients; once a week you should include some liquid feed when watering them. You should also make sure that they are well watered. But do not be tempted to over water your plants. You should never carry on watering without letting the soil drain first. If you do so this can lead to the plant being waterlogged; a situation which is just as dangerous as letting the plant dry out. I adore fragrant plants. I need that feeling of summer around me in the winter months. I love my plants. I try to keep a lot of plants that live great inside during the winter. Great tips as I tend to kill all my plants. My new house has a huge living room window so I really want to keep some plans there. Are succulents good in the winter? That’s the only kind of plant I have. Haha! I keep trying to maintain plants indoors, but our house gets super, super dry in the winter so plants always wind up dying. We really do not have seasons here in Florida so it’s kind of easy to care for plants. What great tips though! I totally have a black thumb. My husband is the gardener in the family and he somehow manages to get orchids to come back to life even after they’ve looked dead for months! Thanks for these great tips! I have several plants that have to stay indoors in the winter time. We just moved so we don’t have any house plants yet, but I’ve been wanting to get some to help with air purity! I always have a hard time taking care of my plants in the winter. I’m not good about making sure they are watered or have enough light. i do quite well gardening outside. anything inside my house dies quickly under my care 🙁 plant wise, anyway. This is a great post. I wish I would have had it before I killed one of my houseplants. It was in dormancy mode, and I over watered it. THAT was a drag. These are great tips. I have a wicked black thumb LOL. These are really good tips! My houseplants definitely suffer a little during the long winter months. I need to be more educated about the life cycles of the plants I have.